Wills Trusts and Estates — McDonald, Rogers & Lorman P.L.L.C. You worked your whole life for it, but you can't take it with you, put your affairs in order before it's too late. They say there are two things you can’t escape death and taxes. While one has no control over one’s mortality, one does have some control over your tax liability. When it comes to the law, there are options which can minimize your tax liability. While there are many do-it-yourself options out there, mistakes can be made and there can be painful monetary consequences for those mistakes. Retaining the expertise of a qualified Attorney can not only help you avoid do-it-yourself pitfalls but also provide you with guidance and advice that can help maximize the benefits of your post-mortem planning efforts. 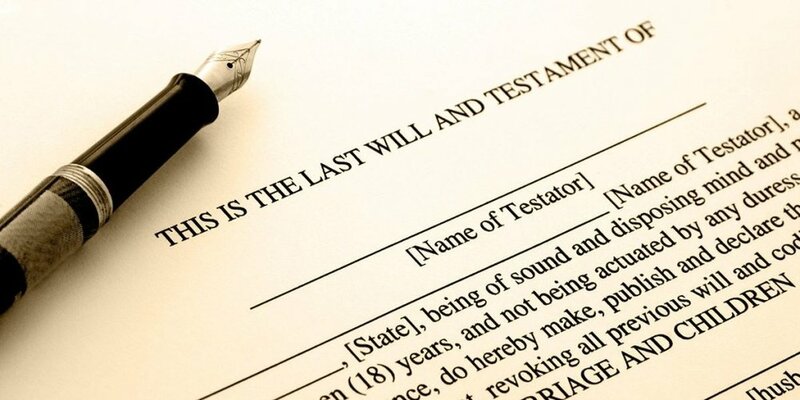 A will is a document that determines who will get what after you pass away. A well written will is essential for two reasons, first, to insure that it is enforceable, meaning that it will be recognized by the court and second to insure that there is no dispute about who is getting what. Before a will can be enforced it must be taken to probate. Probate is the process where the court determines if a will is valid, what property needs to be distributed, the value of the property, payment of debts and distribution. This is a situation where “an ounce of prevention is worth a pound of cure” because if a will is found unenforceable the law will arbitrarily decide who gets your stuff. A well drafted will ensures that your assets will go where you want them as opposed to the government. Retaining the will-drafting services of a qualified attorney can ensure that you – and not the government – get to decide who and where your assets go to after you are gone. Another way to decide who gets your stuff is by creating a trust. A trust is an arrangement where yourself or another person manages assets while not actually owning them. This is beneficial in many situations but most notably for tax reasons or if a person is unable to manage the assets for themselves. Creating a trust is an important step in protecting your assets. The law is complicated and it is easy to make a wrong turn that could come back to haunt you. One simple way to avoid any undesired consequences or clarify any confusion is to consult an attorney skilled in the law surrounding Wills, Trusts, & Estates. In light of how much is at risk, it is highly advised that you seek the advice of a qualified attorney to best insure that your assets are properly protected. What happens if you become incapacitated through injury or illness and are no longer able to communicate your wishes? Your family shouldn’t have to carry the burden of deciding what you would have wanted. It would be so much easier if you made these decisions in advance. An advance directive is a document that allows another person to act on your behalf should you become unable to do so yourself. New Hampshire recognizes two types of advanced directives, a living will and a durable power of attorney. A living will is a document that tells your doctor whether or not to administer life-sustaining procedures. A durable power of attorney allows you to name another person to make medical decisions on your behalf. Consultation with an attorney before executing an advanced directive is important to ensure your wishes are carried out. The lawyers at McDonald, Rogers & Lorman are “big picture” thinkers, allowing them to see where you are as well as where you are potentially headed, and are able to provide you with the legal advice and support necessary to help you achieve your planning goals. Contact the attorneys at McDonald, Rogers & Lorman today for a FREE consultation to discuss your planning options and strategies.